Aging Well Through Social Connections will be hosted by Holy Trinity Episcopal Church and sponsored by Brookdale Senior Living, Thursday, January 25, 2018, at 1 p.m. Maintaining good health, particularly for seniors, involves much more than eating well, exercising daily and taking medications as prescribed. The desire for social interaction is a basic need that continues for as long as one lives. 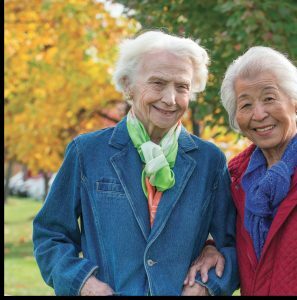 New friends and renewed relationships can help to make the later years in life as rewarding as any other time. Please join us for this relevant conversation about the importance of maintaining social connections, particularly for seniors. 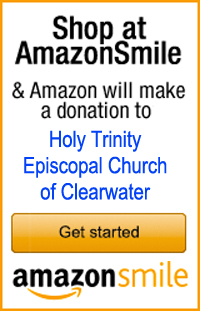 We’ll meet in the Parish Hall at Holy Trinity, 3200 N. McMullen Booth Road, Clearwater, FL 33761, Thur, Jan 25, 1 – 2:30 p.m. Free and open to the public, with complimentary light refreshments. For reservations, call 727-726-5090. 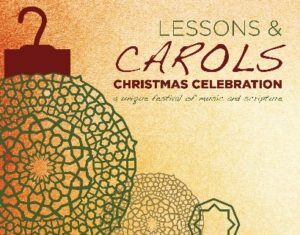 Festival of Lessons and Carols, Sunday, December 17, 2017, at 4 p.m.. Holy Trinity Episcopal Church, 3200 N. McMullen Booth Road, Clearwater, FL 33761, is a service of Christian worship celebrating the birth of Jesus at Christmas. The story of the fall of humanity, the promise of the Messiah, and the birth of Jesus is told in seven to nine short Bible readings from Genesis, the prophetic books, and the Gospels, interspersed with the singing of Christmas carols, hymns and choir music. Please join us for this wonderful service. Free and open to the public. For more information, call 727-796-5514 or email church@holytrinityclw.org. The Reformation was a sweeping upheaval in the Roman Catholic Church in 16th Century Europe, beginning in 1517 when Martin Luther posted his Ninety-Five Theses on the door of the Wittenberg castle church. The far-reaching impact of the Reformation movement spread through the work of Anglican reformers such as Thomas Cranmer in England and John Calvin in Switzerland. Holy Trinity is presenting a Sunday discussion series, Nov 12 & 19, on the Reformation on Nov. 12 and 19, at 11:30 a.m., in classroom 9/10 upstairs. Sunday, Nov 12 will feature special guest presenter, Rev. Canon Dr. Thomas Williams, who serves on the staff of St. Peter’s Cathedral as Canon Theologian. He is warmly regarded at Holy Trinity because of his leadership as Sunday Celebrant and Preacher from Oct 2012 to Feb 2013. All are welcome. Free event. For more info, call 727-796-5514. In the ten years I served St. John’s, Tampa, I valued opportunities to witness rebirth and new life in the city. I remember the day I parked my car on E. Harrison Avenue in downtown Tampa and walked a short distance to the historic St. Paul’s African Methodist Episcopal Church. I was meeting a developer there named Harry Hedges, a member of St. John’s Tampa, and he wanted me to know more about the history of this congregation and the future plans for the building. It was crumbling in disrepair. There were cracks in the walls and windows were boarded. I learned that a proud congregation had called this home for nearly 100 years, but in 2010 they moved to another location. The church was surrounded by open, empty lots. Today that site is bustling with people. One hundred twenty units of work force housing have been built. The church has been beautifully renovated, including the stain glass windows, and that building serves as the community center for the people who live in the development. If you and I went there today, we would find art programs, a library, a computer center, and a stage for children’s productions. It is like a resurrection. It was dying and is now alive. It was lost and has been found. Today I want to think about vision for the future. When I walked through St. Paul’s with Harry, I could see and hear his vision for that property. A developer brings together the right people and right resources for a vision to become a reality. That is what Harry does every day. How often do you and I see things around us that are in decline or decay? We often recognize the changes that mean a place or a community is no longer thriving. Do we have the vision to see what is possible? Do we have the vision to bring about new development and new hope? Our Old Testament lesson today from Exodus (16:2-15) reminds us of the importance of God’s vision. This particular segment of Exodus describes the dynamics of the people of Israel as they make their way through the wilderness. We witness their frustration, their hunger and thirst, and their anger at God and at Moses and Aaron. Let’s go back and recall together the steps in the story. You remember when Moses saw the burning bush and God spoke to him. God had witnessed the hardship of the Israelites held in captivity by Pharaoh in Egypt. God heard their cries. And God said to Moses, “I will send you.” Moses, of course, was hesitant. God assured Moses that he would be with him. God said, “Tell them ‘I am’ sent you.” And you remember Moses encounters with Pharaoh, and how God sent the plagues. Pharaoh finally decided to let the people go. The Israelites ate a meal in haste – the Passover meal – and the angel of death passed over their dwellings. They made their way to the edge of the Red Sea where God provided a pathway through the waters. The armies of Pharaoh were drowned as the people of God fled. And they journeyed for forty years through the wilderness. They struggled. They blasted Moses for bringing them out into the wilderness to die. They longed for their life in captivity and wanted to go back to the familiar patterns in Egypt. Why did Moses keep going? Why did Moses endure the arduous journey and the anger and hostility of the people? Why did he keep leading them through the wilderness? He did this because God had given him the vision. God gave him a vision of a new life in the Promised Land of Canaan. God gave God’s people a covenant, a relationship to live into. They would be God’s people and God would be their Lord. The vision was not just a place; it was a way of living together with God. The vision kept Moses going. You may also remember that when they arrived outside the Promised Land, God told Moses he would not make that final leg of the journey. Moses died and was buried before the Israelites entered their new home. Scholars write about this important period in the life of the Hebrew people. They were a mixed group when they set out. Their life together was formed through the long journey. Their life together was formed by the hardships and the testing. And they were learning to trust God to provide the resources for them along the way. God provided food, like the manna that appeared on the ground for the Israelites. God provided strength and courage. God provides hope for us through the storms of life. God provides abundant resources for us on the long journey. We, too, are engaged in a long journey. We are learning to trust God who provides for us. We are learning that God will be our strength and our hope during the storms of life, during the toughest times we can imagine. And God gives us vision. I think of the risky steps that Moses and his people had to take: the conflict with Pharaoh, leaving Egypt, and the long, hard journey through the wilderness. Vision is what empowers us to take such steps. We are embarking on risky steps together at Holy Trinity: development through partnerships in the community, teamwork ministry, development of our property, new possibilities for ministry in our existing facilities, and new programs. Most importantly, we are meeting new people every day and telling them about the marvelous ministries here at Holy Trinity. I have glimpses of God’s vision. I have glimpses of a vision for a new generation – adults and children – who will come after us. They will be speaking new languages that we do not use on a daily basis here today. They will be gathering in spaces here that are reconfigured for a new era. They will worship with new liturgies and a variety of musical styles. They will develop satellite operations developed through partnerships in the community. They will serve as lay ministers preaching and teaching out beyond these walls. Let us seek God’s vision together. Let us trust God to provide the resources on the long journey. Let us have the courage to take bold steps for Christ’s sake. Amen. Hurricane Irma came through the Caribbean as a category 5 storm leaving behind massive destruction. In news footage, we see buildings destroyed and boats and cars piled up on one another. I heard an interview with the owner of a restaurant in St. John’s in the U.S. Virgin Islands. He was standing in front of what was left of the building, and he said, “The people here are resilient…we will rebuild.” I marveled at his words and tone; so confident and reassuring. I also recalled hearing the word resilient spoken by a man in the outer banks of North Carolina following a hurricane that traveled up the eastern seaboard. “The people here are resilient…we will rebuild.” Resilience is a marvelous capacity to restore, to recover, and to bounce back after terrible devastation. I turned to Gregg Braden, author of the book, Resilience of the Heart, and he tells us that resilience is, “a way of thinking and living that gives us the flexibility to change and adapt to new conditions.” (p. 56) This capacity can be found in human beings, in communities, in systems and in organizations. I believe God gives us resilience when God draws us together in the community of faith. God gives us the capacity to deal with the storms of life when we band together and find strength in community. During the more intense hours of the storm here in Pinellas, when the winds were howling, I remembered Hurricane Donna. It came across the state of Florida in 1960 and brought strong winds to the Tampa Bay area. I was eight years old. I recalled my fear of the howling wind and its destructive power. My room was right next to the tall Australian pines that lined our property. But I recall another feeling that was stronger and deeper than the fear. It was the confidence and strength and assurance I felt being with my family. You see everyone came to our house: my grandparents, my aunt and uncle, and my cousins. We were all together during the storm. I can still feel that strong sense of community today. In the coming weeks we will be thinking together at Holy Trinity about stewardship. Stewardship is living our lives in the belief that all we are and have is God’s, entrusted with us to share. Like the way we give to our neighbors by helping them through the storm. Like the way we give of our resources to help those whose lives have been severely damaged. 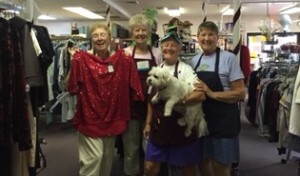 Like the way we give of our time to help others in the world and in our local community. Our God is an abundant giver. God pours out love and hope and grace upon us all the time. God gives without measure. And our response to our loving God is to travel the journey to generosity. We are on a journey to learn more about giving and to explore in depth the God who gives to us so marvelously. There is a reason we use the word “pledge” when talking about giving. It means to make a commitment. Pledging ourselves to God and to the church is a transformative process. Thanks be to God for delivering us through the storm. Let us grow together in the work of the Gospel and as Christ’s resilient community. Throughout this week, we have watched the devastation unfold as Hurricane Harvey ravaged Texas and Louisiana with wind and water. Meteorologists warned that the atmospheric elements coming together would produce record rainfall and massive flooding. The images have been overwhelming. We see family after family stranded and shelters packed. It is heartbreaking to grasp the impact of a natural disaster on the human community. In the midst of the despair, there is hope. Thousands of residents have reached out to their neighbors to help. I saw pictures of a human chain of people standing in floodwaters to get a pregnant woman to safety. Volunteers have come from near and far with boats to rescue families and pets. I was very much aware of our cooperative project with the Humane Society as I saw dogs and cats and birds being rescued time and time again. I saw the image of our Lord as servant when volunteers carried the elderly on their backs. I marveled at all the infants and children being airlifted by the National Guard helicopters. And when the residents were safely on dry ground, they embraced the men and women who worked tirelessly and courageously to bring them to safety. In the midst of disaster, there is hope, and it comes in the form of servants who care and put their own concerns aside in order to carry others to safety. I watched the images throughout the week and read Paul’s words written to the Christians at Rome (12:9-12), found in our Epistle today: Let love be genuine; hate what is evil, hold fast to what is good; love one another with mutual affection; outdo one another in showing honor. Do not lag in zeal, be ardent in spirit, serve the Lord. Rejoice in hope, be patient in suffering, persevere in prayer. Contribute to the needs of the saints; extend hospitality to strangers. These words came alive as we witnessed people rescuing and carrying residents on their backs. As I watched all the rescue efforts with boats, I thought of our Gospel passage just a few weeks ago when the disciples were in the boat during the storm. Jesus came to them and calmed the rough waters and powerful winds. Christ was there in Houston and all the places where people were being comforted. Christ was there in those who reached out to help provide shelter, dry clothing, water, food and hope. We keep our eyes open to find the Gospel coming alive all around us. And we hold the words of scripture close – repeating the words – saying the words together. This section of Paul’s letter to the Christians in Rome is all about the grace of God made real to us in the life, death and resurrection of our Lord Jesus Christ. Grace is unmerited. You and I can’t earn it. It is an abundant gift from God, poured out on all of us. And when we have experienced God’s grace, then we learn to share grace with others. Paul’s words come alive through us: We rejoice in hope, we are patient in suffering, we persevere in prayer. We contribute to the needs of the saints; we extend hospitality to strangers. We are the boat, carrying the stranded around us. We are the church – all of us – sharing grace and encouragement because it is poured onto us by our loving God. In the midst of such grace and hope, I was dismayed to hear that looting was also part of the scene in Texas. In the midst of the devastation, people tried to take advantage of others. There are human beings who fail to perceive God’s love and grace and turn to the dark side in the midst of disaster. We might say they resist God’s love and grace. In today’s scripture passages, we see resistance. Peter resists Jesus’ journey to Jerusalem. Moses resist’s God’s call to go to Pharaoh. Resistance means ignoring the grace so freely given by God. How easy it is to turn away from the obvious signs of grace and love in the world. How easy it is to end up complaining, condemning, criticizing, and whining. We come together each week on Sunday to be reminded of the incredible grace of God. We come together to hear the words of the Gospel, to hear Christ’s call to us to take up our cross and follow him. We come together in Holy Trinity to hear the stories of grace and love and encouragement so that we become more and more the encouraging people of God. That reminds me of another story about a storm. In 1748 a ravaging, destructive storm took place in the north Atlantic as a slave-trader named John Newton was travelling on a ship to England. That ship was damaged heavily by the wind and the waves. At one point Newton lashed himself to the ship in order to avoid being swept off the deck. Newton was not a man of faith. Instead, he was known as the Great Blasphemer, renowned for his harsh, profane language. Something happened to him during those nights of being thrown about by the winds and waves. John experienced the beginning of a conversion that brought him closer to God. And later he wrote famous words that you and I know well: Amazing grace, how sweet the sound, that saved a wretch like me. I once was lost, but now am found, was blind, but now I see. Amen.